Beyond our new machines, Shuttlewagon, Inc. also offers previously operated mobile railcar movers. 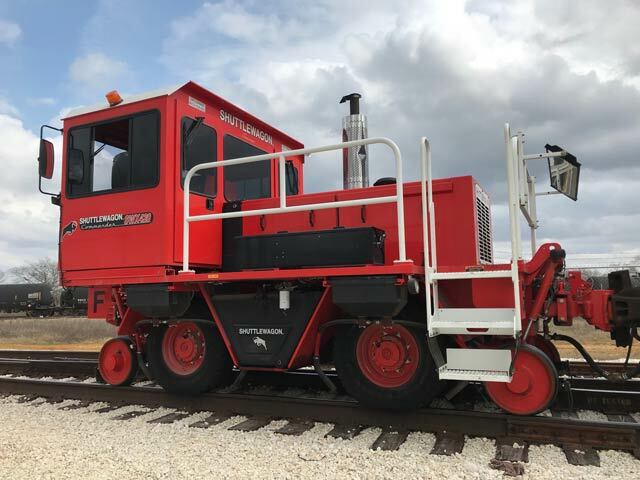 This is not limited to just remanufactured or low-hour, late-model Shuttlewagons but also includes used machines of any make and model such as Trackmobile™, Rail King® and Switchmaster brand railcar movers. Regardless of your requirement, Shuttlewagon, Inc. is able to offer many options. From cores to well-used units to low-hour, late model machines to factory demonstrator Shuttlewagons, we have it covered. Don’t see something from our list below? Contact us to begin the process of determining which machine from Shuttlewagon makes the most sense to your operation. Interested in a Used Machine? Contact us today for more information on any of our models.